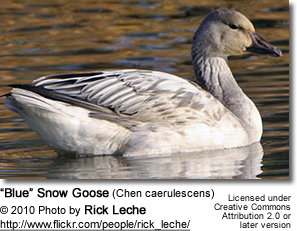 The Snow Goose (Chen caerulescens), also known as the Blue Goose, is a North American species of goose. Its name derives from the typically white plumage. The genus of this bird is disputed. 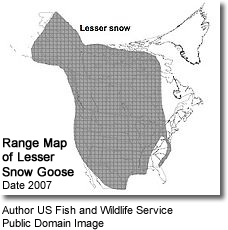 The American Ornithologists' Union and BirdLife International place this species and the other "white" geese in the Chen genus, while other authorities place it in the more traditional "grey" goose genus Anser. 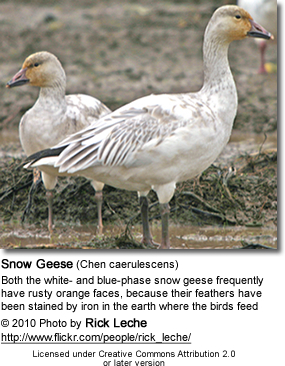 The Snow Goose has two color plumage morphs, white (snow) or gray/blue (blue), thus the common description as "snows" and "blues." 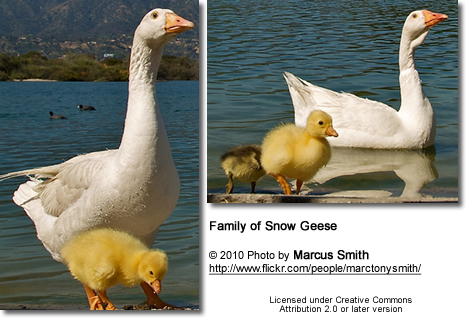 White-morph (genetic mutation) birds are white except for black wing tips, but blue-morph geese have bluish-grey plumage replacing the white except on the head, neck and tail tip. The immature blue phase is drab or slate-gray with little to no white on the head, neck, or belly. Both snow and blue phases have rose-red feet and legs, and pink bills with black tomia ("cutting edges"), giving them a black "grin patch." The colors are not as bright on the feet, legs, and bill of immature birds. The head can be stained rusty-brown from minerals in the soil where they feed. They are very vocal and can often be heard from more than a mile away. The species is divided into two subspecies on the basis of size and geography. Size overlap has caused some to question the division. The smaller subspecies, the Lesser Snow Goose (C. c. caerulescens), lives from central northern Canada to the Bering Straits area. 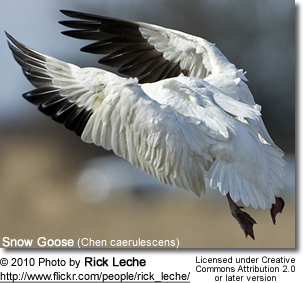 The Lesser Snow Goose stands 25 to 31 inches (63 to 79 cm) tall and weighs 4.5 to 6.0 pounds (2.0 to 2.7 kg). 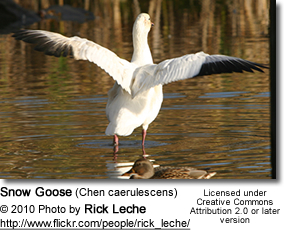 The larger subspecies, the Greater Snow Goose (C. c. atlanticus), nests in northeastern Canada. It averages about 3.2 kg (7.1 lb) and 79 cm (31 in), but can weigh up to 4.5 kg (9.9 lb). The wingspan for both subspecies ranges from 135 to 165 cm (53 to 65 in). 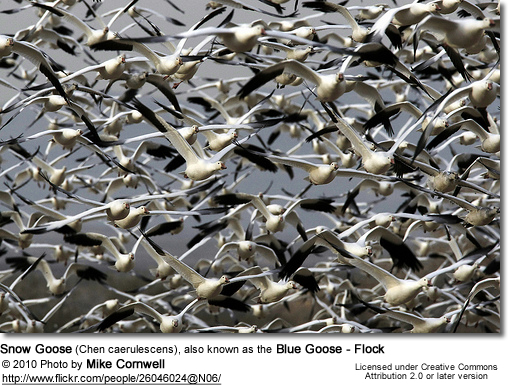 Blue-morph birds are rare among the Greater Snow Geese and among eastern populations of the Lesser. Where Snow Geese and Ross's Geese breed together, as at La Pérouse, they hybridize at times, and hybrids are fertile. 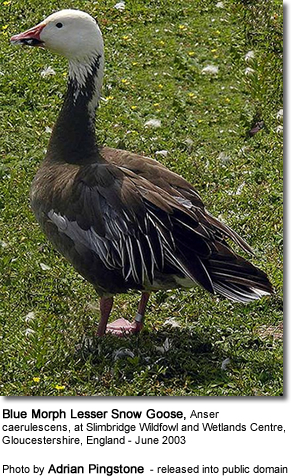 Rare hybrids with the Greater White-fronted Goose, Canada Goose, and Cackling Goose have been observed. The breeding population of the Lesser Snow Goose exceeds 5 million birds, an increase of more than 300 percent since the mid-1970s. The population is increasing at a rate of more than 5 percent per year. Non-breeding geese (juveniles or adults that fail to nest successfully) are not included in this estimate, so the total number of geese is even higher. Lesser Snow Goose population indices are the highest they have been since population records have been kept, and evidence suggests that large breeding populations are spreading to previously untouched sections of the Hudson Bay coastline. Outside of the nesting season, they usually feed in flocks. 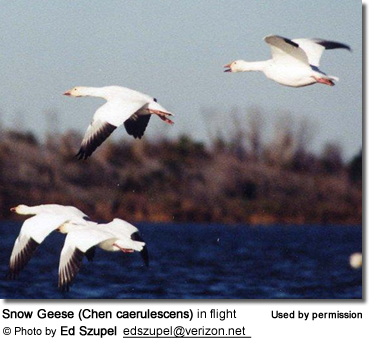 In winter, snow geese feed on left-over grain in fields. 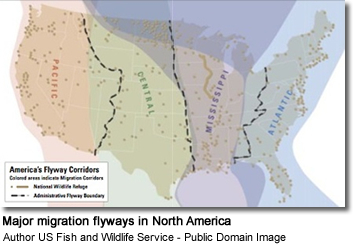 They migrate in large flocks, often visiting traditional stopover habitats in spectacular numbers. Major nest predators include Arctic Foxes and Skuas. The biggest threat occurs during the first couple of weeks after the eggs are laid and then after hatching. The eggs and young chicks are vulnerable to these predators, but adults are generally safe. They have been seen nesting near Snowy Owl nests, which is likely a solution to predation. Their nesting success was much lower when snowy owls were absent, which leads scientists to believe that the owls, since they are predatory, were capable of keeping predators away from the nests. Few predators take snow geese away from the nests, but Bald Eagles do take them given the chance. 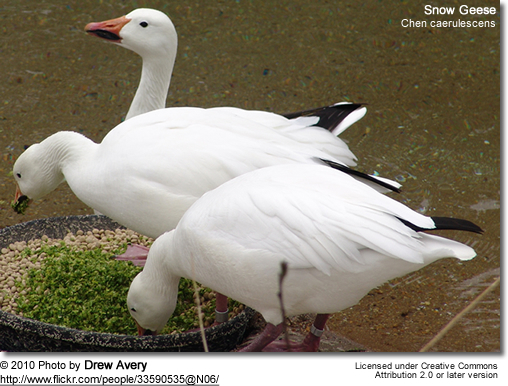 Snow Geese mainly eat plant material found in shallow water or on land. Outside of the nesting season, they usually feed in flocks. In winter, these birds feed on left-over grain in fields. Please note that feeding ducks and geese makes them dependent on humans for food, which can result in starvation and possibly death when those feedings stop. If you decide to feed them, please limit the quantity to make sure that they maintain their natural ability to forage for food themselves - providing, of course, that natural food sources are available.